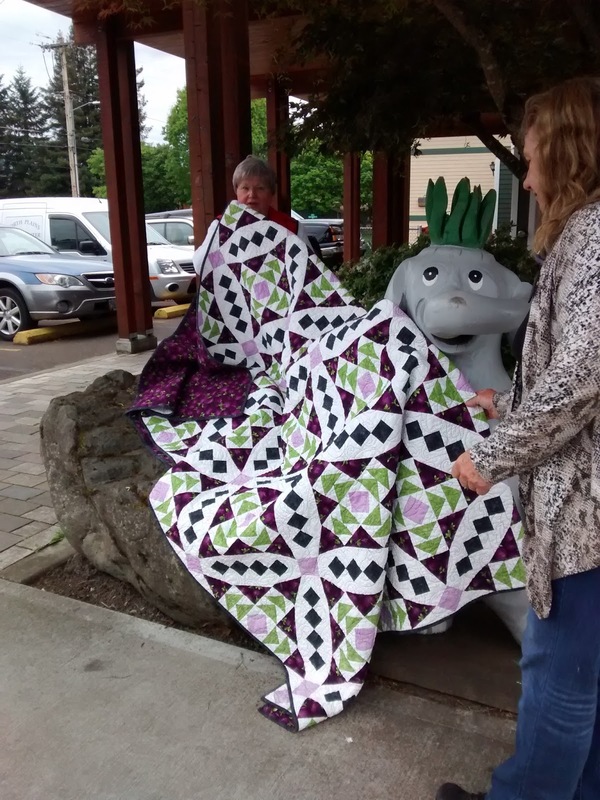 The reveal for the quilt coincided with a Sewing Weekend for the Westside Quilters Guild -- a three-day event we hold several times a year. Kind of a stay-at-home retreat. 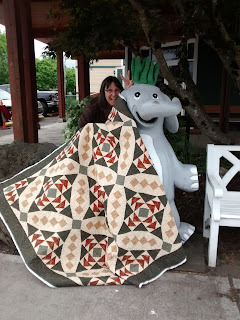 Set up on Friday and sewing all evening. 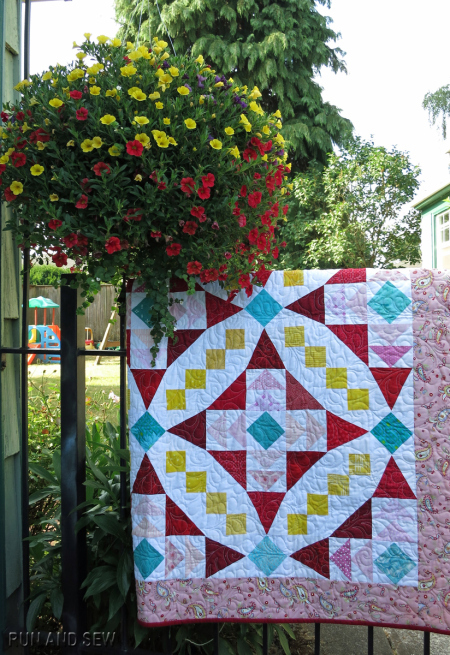 Sew all day Saturday and take down on Sunday afternoon. I was teaching on Saturday, so couldn't be with the group. 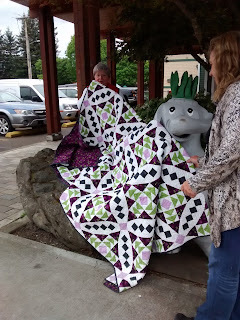 It appears a few of them decided to play with my quilts while I was gone! 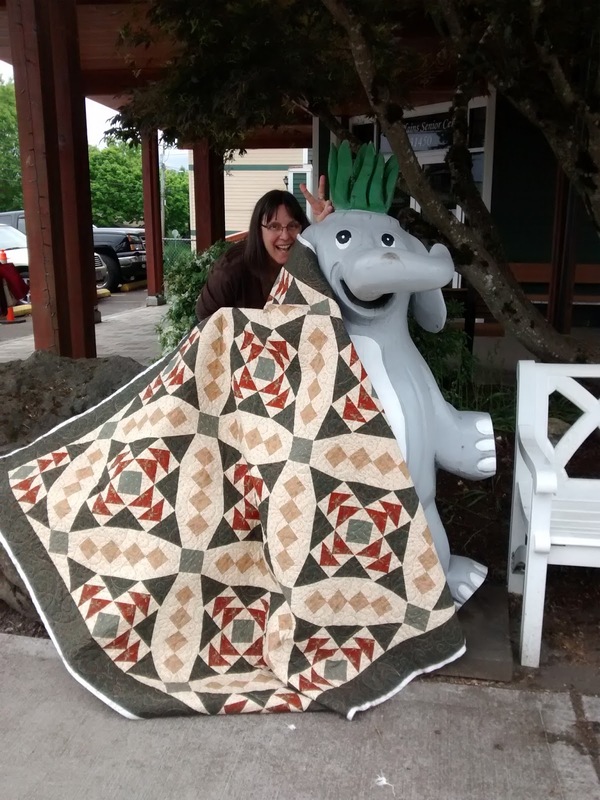 We meet in North Plains, Oregon and it has a huge elephant garlic festival every year. That's the "elephant garlic king" statue you see here. 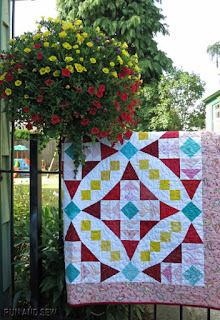 If you'd like to see more pictures of the first quilt, head over to AnnMarie's blog: RunandSewQuilts.